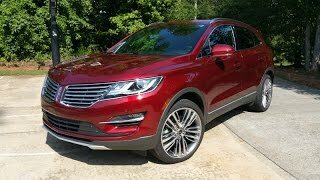 For its very well known two models Lincoln MKZ and Lincoln MKC, has announced Lincoln Black Label 2015 Versions, availing its buyers four eye catching interior designs made by using high quality leisure materials Venetian leather, Alcantara and designer wood trim. To meet the purpose with planned intentions, company certified its 32 dealers as Black Label 2015 and the same will be assigned the task of providing their customers luxurious purchasing experience. Both the Lincoln Black Label MKZ and Lincoln Black Label MKC will receive redesigning through high class materials worked out for more perfection through exquisite craftsmanship. As shared by company each of these four themes is inspired from various nodes around, including everything between food, fashion, travel and architecture. 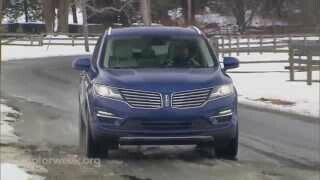 Lincoln Black Label models are filled all across through high quality works from the best in industry materials. While on one side Alcantara covers places like, headliner, pillars, package tray and accent detail, in short those which get to your hands easily. With an intention to provide soft touch to your hands every time you reach them. In the same queue doors, armrests and seating surfaces gets covered in finest in industry Venetian and on the other side buyers get covered in leather and stitched, doors, console and instrument panel and all these gets the essence of serenity with crafted rare woods from the automotive industry trimmed spaces. 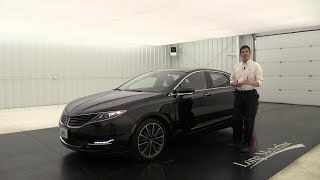 Though the exterior for Lincoln Black Label MKZ and Lincoln Black Label MKC models didn’t receive much changes but making it special are the exclusive exterior color options for all Black Label models. Apart from this 19” painted aluminum wheels come as standard for all Lincoln Black Label 2015 models while the MKZ owners will get an option to go for 19” Polished aluminum wheels and MKC will receive the option for 20” polished multi piece aluminum wheels with premium painted buckets accented with bright chrome inserts. Each of these options will get a Lincoln insignia on the center of the rim. Not just these works but the Lincoln Black Label 2015 model customers will also receive extended premium service and maintenance coverage of 4 years or 50,000 mile, over parts like, shock absorbers, engine belts and hoses etc. 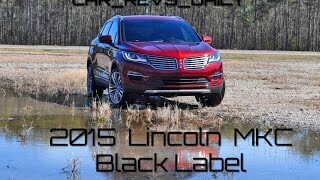 additional features like annual vehicle detailing, anytime car washes, and remote service are also in list to bring the honor to privileges Lincoln Black Label 2015 model customer.